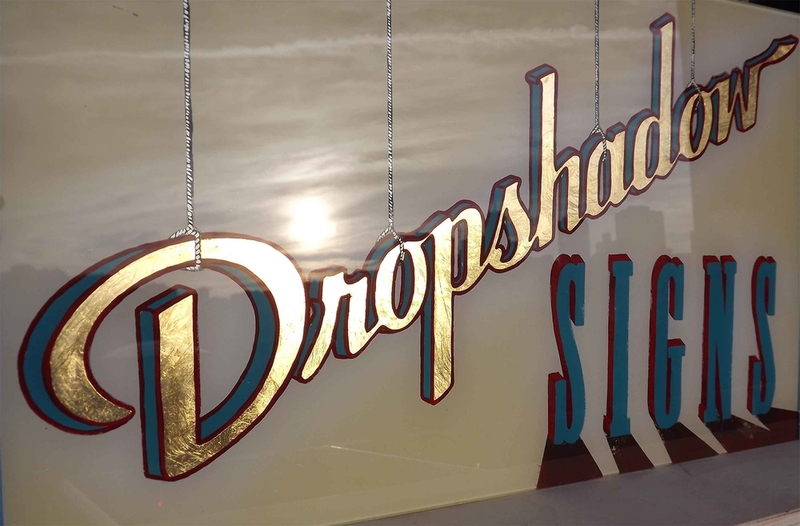 Welcome to Drop Shadow Signs, providing hand painted signs, murals, and gold leaf on almost any surface, glass, concrete, brick, wood, on location or commissioned and constructed in shop. Any sign you need made or surface you'd like painted can be done with a discerning eye and creative hand. Gold leaf, seasonal or permanent works, prismatic letter installation, murals on exterior and interior surfaces. Free estimates provided. I have been an artist since growing up in a household where art classes were held in our basement every Saturday morning. I would bore of cartoons and end up painting with my father and his students. Flash forward to San Francisco after art school, some travel, fly fishing in Idaho, and of course some bartending, and I have now started up a 3rd generation sign painting business that has been percolating in my genes all the while.